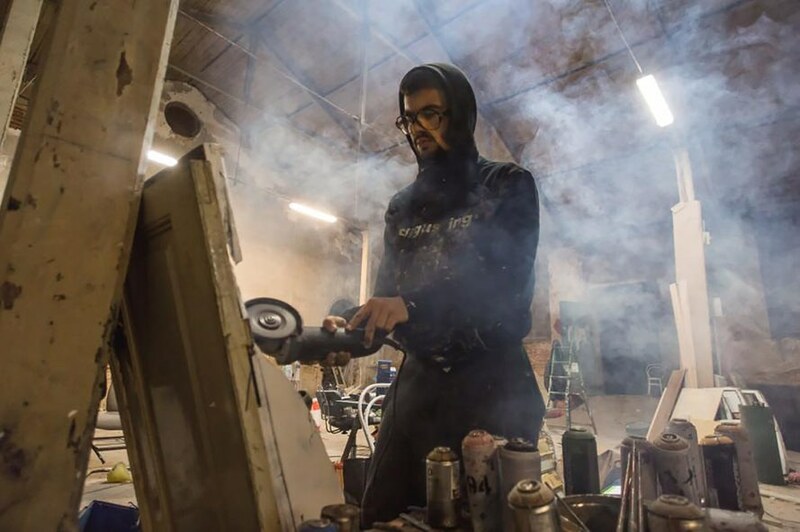 Portuguese street artist Artur Bordalo, known by the moniker Bordalo II, is showing off some bold new street art in an abandoned Lisbon warehouse. 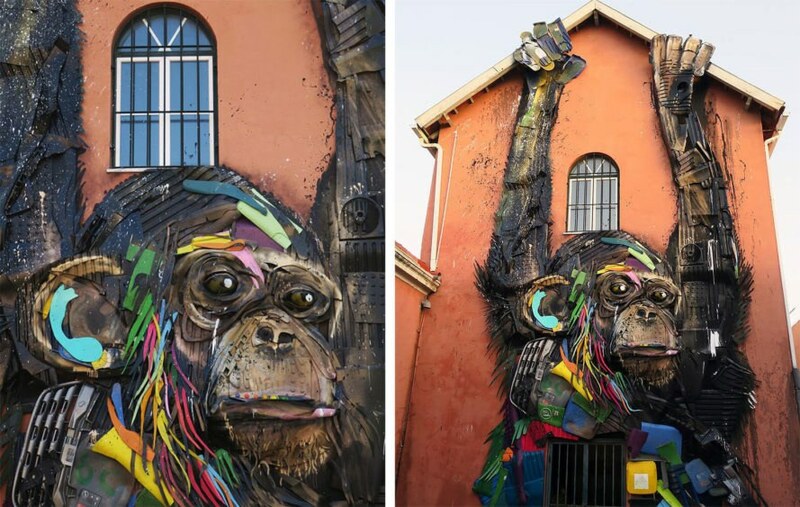 Bordalo draws attention to wastefulness by creating massive vibrant animals out of discarded plastic, car parts, and other trash – and the whimsical designs are unlike anything you’ve ever seen. Garbage is given new life as colorful animal sculptures in Bordalo II’s solo exhibition Attero – the Latin word for ‘waste.’ The trash is locally sourced, according to Colossal, and might come from old cars, construction materials, or whatever else the artist happens to find. 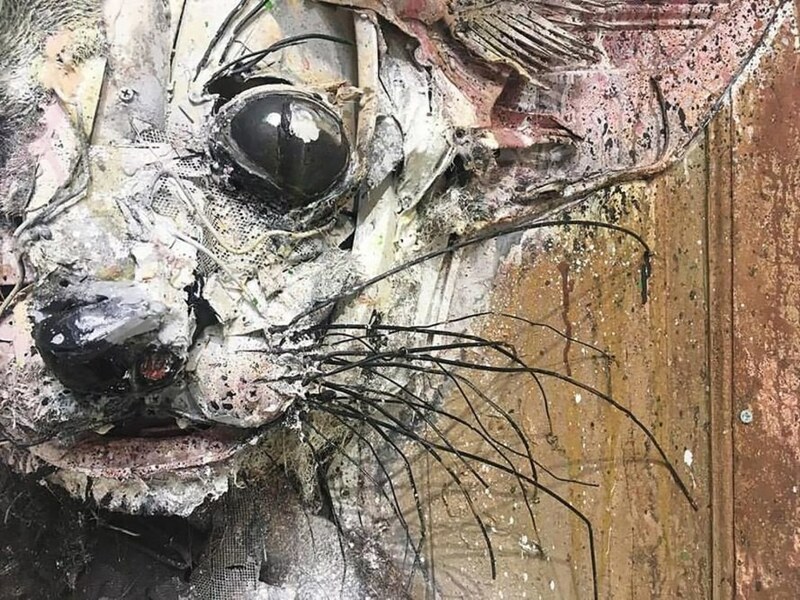 He often transforms the detritus into animals because they are particularly vulnerable to harm from our society which too often throws items away, polluting the environment. 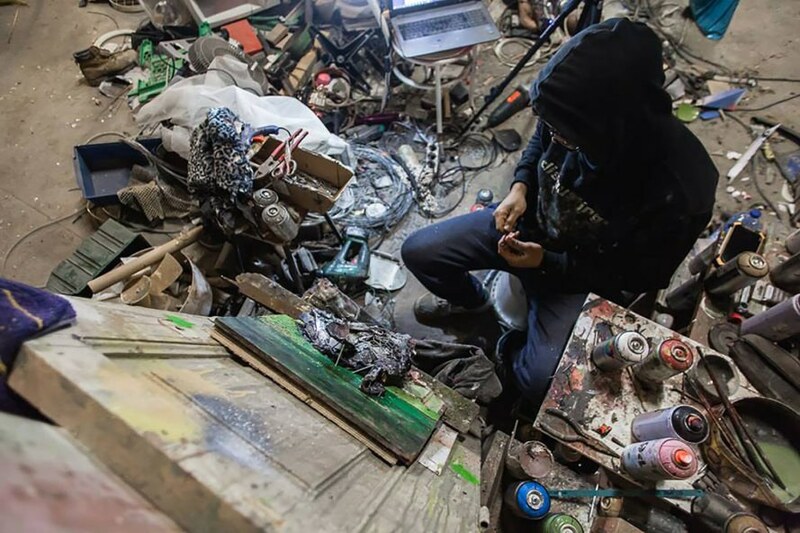 Bordalo II echoes these ideas in his Facebook biography, saying he belongs “to a generation that is extremely consumerist, materialist, and greedy.” The artist, who was born in 1987, revitalizes end-of-life materials discarded by others to create his pieces. Bordalo II’s sculptures are often massive, sprawling across building walls. 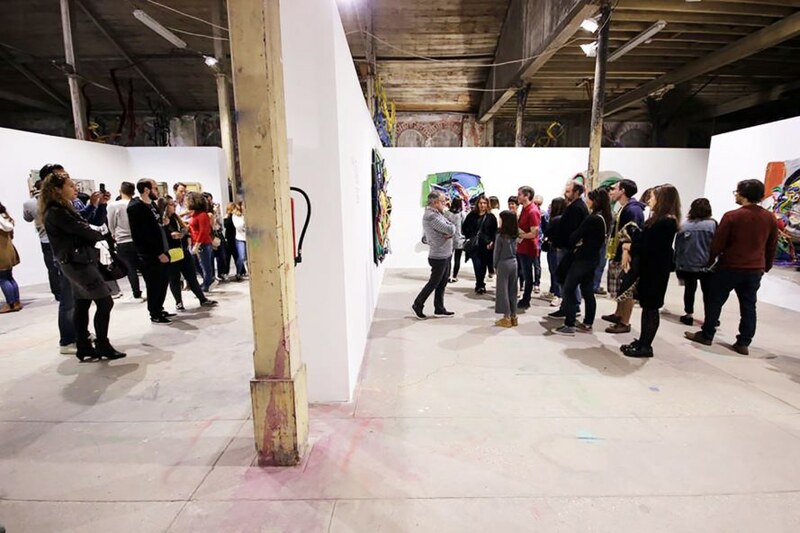 While those large, attention-grabbing pieces are certainly part of Attero, the exhibition also includes smaller pieces on old doors, windowpanes, or siding. Around 8,000 people visited the show during its first week. Attero is on through November 26 at Rua de Xabregas 49, 1900-439 Beato, Lisbon. 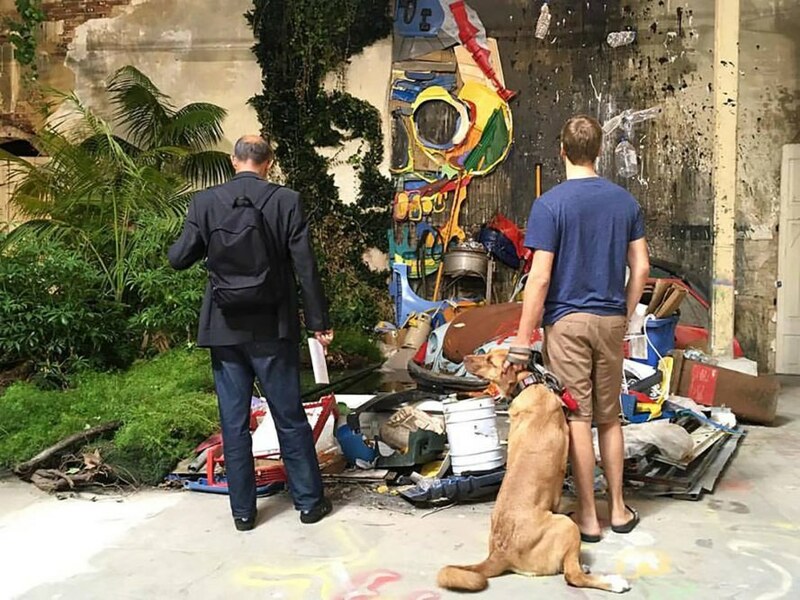 Bordalo II’s website says entry into the show is free. 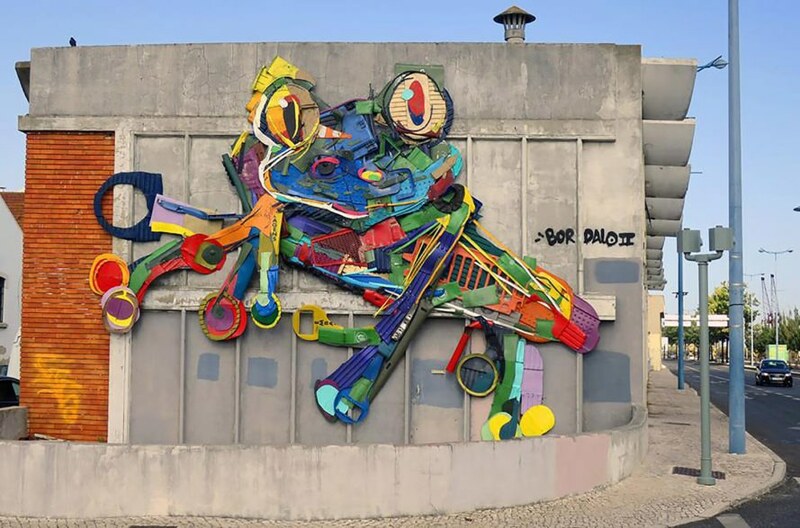 If you can’t make it to Lisbon, check out more of Bordalo II’s pieces on Facebook and Instagram. 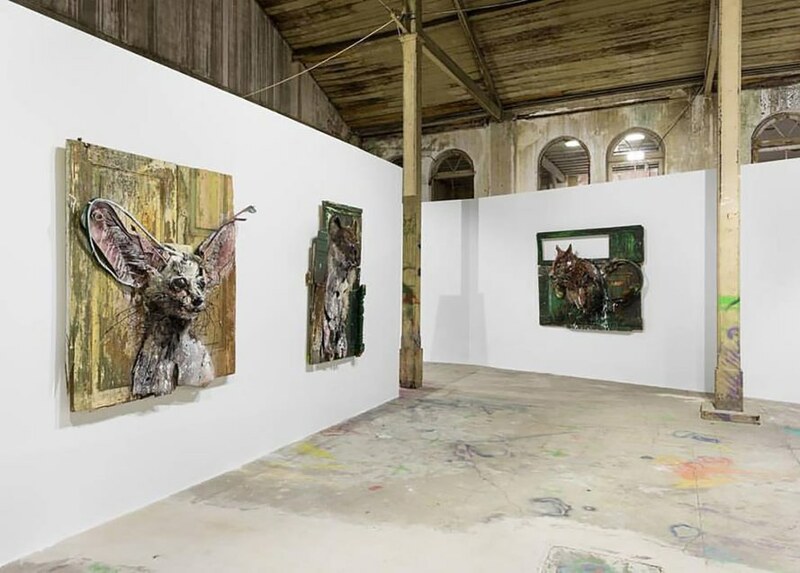 Bordalo II shows off artwork in new solo exhibition Attero. Bordalo II's art prompts us to think about our own consumption. Bordalo II's art often sprawls across building walls. Bordalo II uses old car parts, construction materials, and other found trash. He often depicts animals as they're vulnerable to harm from our consumerist society. Attero also features smaller pieces on old doors or siding. Around 8,000 people visited Attero in its first week. Attero runs through November 26. 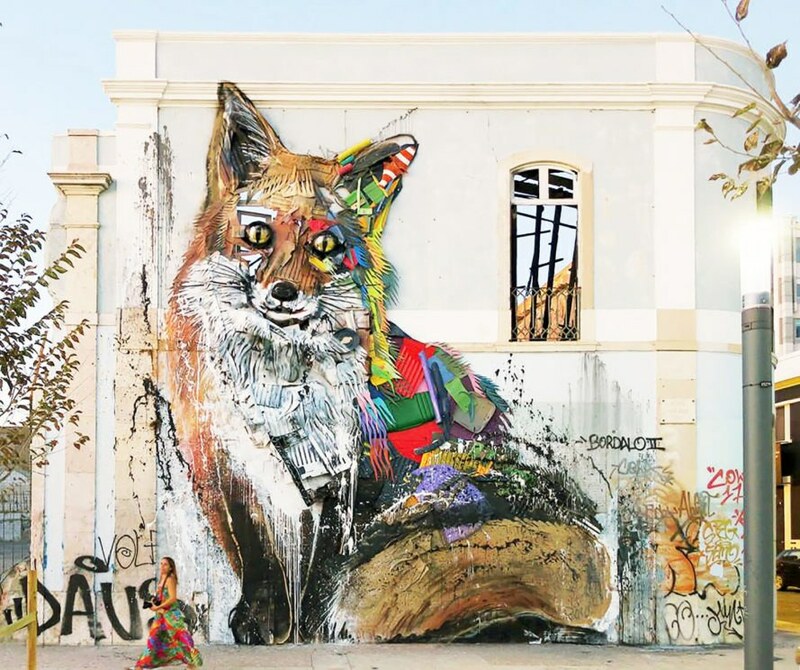 Portuguese street artist Artur Bordalo, known by the monniker Bordalo II, is showing off bold new art in an abandoned Lisbon warehouse. Vibrant animals created with waste plastic, car parts, and other trash call attention to the wastefulness plaguing our society in his show, Attero.